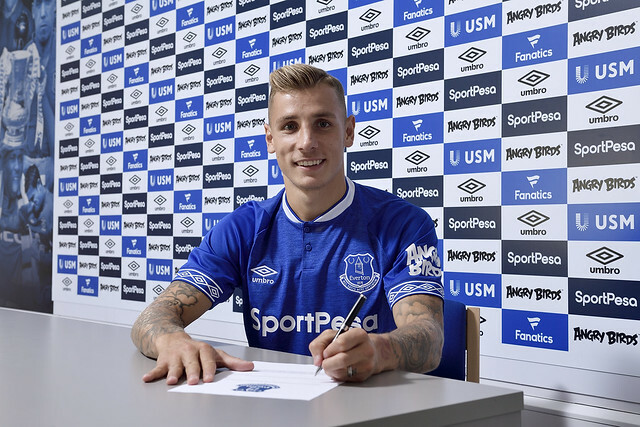 Lucas Digne says he wants to show his best football for Everton in the best league in the world after completing his move from Barcelona, signing a five-year deal to the end of June 2023. The 25-year-old attacking left-back has won La Liga and Ligue 1 titles with Barca and Paris Saint-Germain respectively. He was also a key player for Roma when the Serie A club reached the Champions League knockout stages in 2016 and has been capped 21 times by France. He was on standby for champions France leading into this summer’s World Cup finals in Russia. “Everton is a big club with a great history. I want to play games, win games and excite the fans with the quality of our football,” Digne told evertontv. Digne moved to PSG from first club Lille in the summer of 2013. He won back-to-back championships with the French capital side before spending a season on loan in Serie A with Roma. Paris-born Digne’s swashbuckling form during his year in Italy captured the attention of Barcelona. An Under-20 World Cup winner with France in 2013, he made the move to the Nou Camp in 2016. He played 46 matches for the five-times European champions, winning La Liga with the Catalan giants last season. And he has revealed his enthusiasm to work with new Everton manager Marco Silva. “My first impression on meeting the new manager was really good. I had a great feeling with him when we spoke,” Digne added. 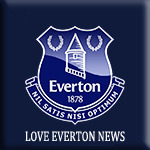 Manager Silva believes that Digne’s desire, technical ability and passion to play for Everton proved persuasive in him making the 25-year-old his second signing of the summer. “It is important to say that he is a player who, from the first moment he was contacted, showed enormous desire to play at Everton,” Silva said. We have needed a LB for a couple of seasons , so hopefully he will be the answer, because Baines has been declining for a while now. I've seen clips on Youtube, but other than that I know little about him. Have you watched him in a full game? Only bits and pieces to be honest. But there is a player in there , hopefully he will be motivated to re-build his career. Digne signed shortly before the season and has seemingly inspired a new lease of life in Leighton Baines, and says that he is enjoying being part of the team at Everton. He said that Marco Silva’s discussions over the summer had convinced him that Everton was the place to be. He said, “The project and the coach. When I spoke with the coach he told me good things and I had a good feeling. “The new project was very good and we will see what happens in the future. “The coach has a very good mentality for the game, he wants to play with the ball and wants to play offensive football. I like to play like this way. “The coach is new and you have a lot of new players. We have a good mix because we have experienced players who have played here for a few years and we can learn together and get the club higher up the table. “It’s important for the full-back to be decisive in attack but it’s not the most important thing. You need to be a good defender before you attack and I am very happy to help the team.